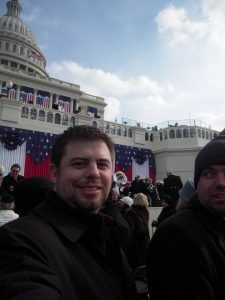 I’ve been back in Ottawa for about 36 hours after making the trip to Washington DC to observe the inauguration of Barack Obama as the 44th President of the United States.? It goes without saying that the inauguration was a historic event as the United States turned a page on centuries of troubled history as the first African-American ascended to assume the highest office in the nation.? I write this blog to report on the news, to offer opinion, and to give an account of my experiences.? 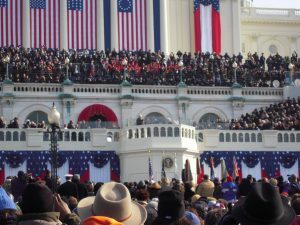 I’ve never been to a Presidential inauguration and I’d like to share some of my observations of those couple of days in DC. After going through an unusually thorough screening with Homeland security, I boarded my Air Canada flight with a number of Canadians and Americans heading to Washington.? When traveling, one often see travelers reflecting, in a clichéd way, their departure point or arrival.? On a trip to Hawaii, for example, you might see an inordinate number of leis and cheap plastic “grass” skirts on fellow passengers, in Vegas, empty plastic souvenir ‘hurricane’ margarita cups.? On this trip to DC, a number of Canadians and Americans were decked out in the colours of the American flag.? Minister Peter Kent was on my flight, on his way to represent Canada in DC as minister of state for the Americas. Landing in at Reagan national airport, I was immediately struck by the shops which had switched from generic Americana to 99% Obama merchandise.? One t-shirt I saw had a mock headline that read something along the lines of “Now is our time” with a photoshopped image of Obama’s head on Michael Jordan’s body going for a slam dunk from the top of the key wearing a Superman outfit.? I immediately became determined to find the most tacky and absurd Obama memorabilia during my trip and if this was a location as mainstream as the airport, I’d hold my greenbacks for the streets of DC. I took the metro to the Capitol and after fighting the lines leaving the metro, I found the line that snaked around the buildings which held the congressional offices.? As I had a ticket set aside for me, I joined the queue.? After making my way inside and after having picked up my ticket, I crashed a mid-western pre-inaugural party in the congressional district.? It wouldn’t be the last party I crashed on my trip, but for the main event, I had my golden ticket. Next up, I made my way over to a party held by the British mission in DC.? On the way, in Dupont Circle BDS-afflicted revellers were tossing shoes at an 30-foot tall inflated cartoon effigy of George W. Bush.? In 24 hours, what would these people have to do with themselves?? After the British party, I made my way over to Clarendon with some GOP friends to attend a leftwing netroots blogger party sponsored by big labour, netroots nation, blue state digital, and a host of well-read “progressive” blogs.? With drink tickets, guitar hero, and a live band, the festivities certainly had a hobbyist-gone-mainstream feel.? 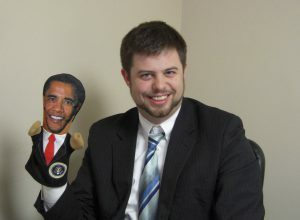 I met some very talented people working on social media the Obama side of the partisan divide. 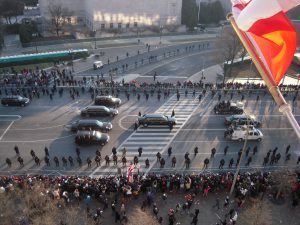 Next day was inauguration day and the common wisdom was to show up at the metro as early as possible to make one’s way to the Capitol.? Despite my best efforts, I arrived to the metro station to find it packed with people.? Apparently, record ridership was recorded on the previous day with 600,000 people passing the DC metro gates.? It’s a bit harrowing standing on a platform packed 20 rows deep with anxious DC residents and inauguration tourists when one indeed has to “mind the gap” between a packed station and the tracks.? On the train, however, people were in good spirits despite the overcrowding. I eventually made my way from the metro to the ticketed checkpoint area.? On my way, more Obama kitsch tempted me as spontaneous capitalists popped up everywhere to hawk everything from Barack Obama action figures to Michelle Obama t-shirts.? 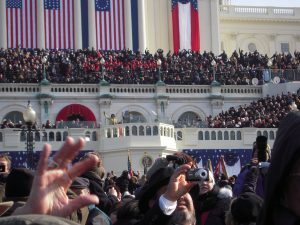 The ticketed area in front of the inaugural platform in front of the Capitol building had rows of seats for a few thousand people.? Looking back at the national mall towards the Washington monument, we could see millions of people.? 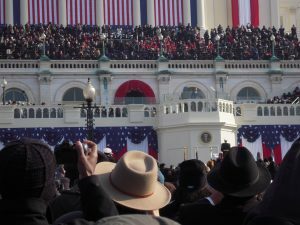 On television, it was reported that 3-4 million people were packed in to see Obama take the oath of office.? 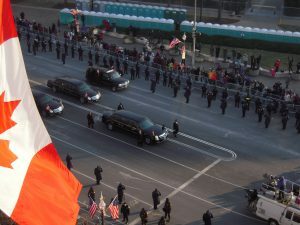 Looking across the mall, when the motorcade drove up the street, it was a shimmering sea of red white and blue as people waved their flags. Sitting and waiting for the ceremony to begin, I spotted New York City mayor Michael Bloomberg sitting a few rows ahead.? 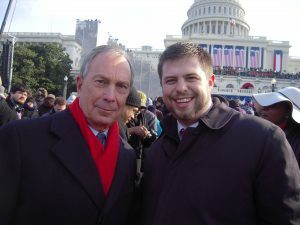 Bloomberg was considering a run at the presidency this cycle and would have contested as an independent versus Obama and McCain.? I made my way over to Bloomberg to say hello. ?The mayor was a registered Republican, however would have run as an independent. ?Some speculated that his run would have made him a viable candidate for a running mate to the Republican or Democratic nominee seeking the presidency through the independent swing vote. 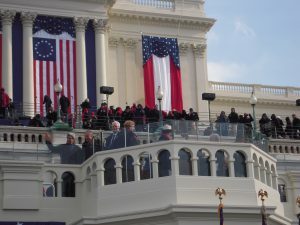 The inauguration ceremony went off fairly well with only the Roberts/Obama oath blunder as the only notable exception.? Obama’s speech was adequate at best and I don’t think it met the oratorical expectations that people have expected; “ask not what your country can do for you”, Obama’s speech was not.? I believe that this presidency will be about managing and decreasing expectations that have been built up during the campaign.? After the wrap up of the inauguration, Obama made his way to the other side of the Capitol building to see President Bush and his wife off in a marine helicopter.? We saw the events on a big screen on our side of the building and a few seconds later saw the helicopter pass over the roof of the Capitol and over our heads.? Everyone waved at the helicopter, though while some gave a warm wave goodbye, others were not so friendly.? The helicopter passed over the national mall and Canadian embassy.? The embassy would be my next stop. 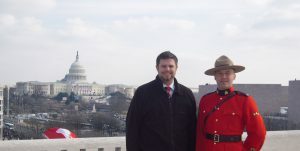 The Canadian embassy is located on some of the best real estate in DC.? 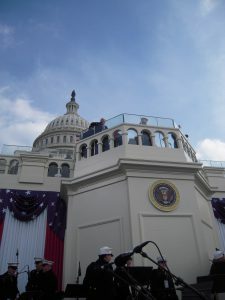 The building is about a stone’s throw away from the Capitol and had a great view for guests of the Canadian ambassador.? Party guests at the embassy included former ambassador Frank McKenna, Jason Kenney, Peter Kent, Michael J. 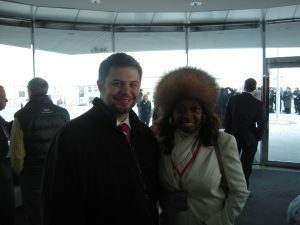 Fox, Newt Gingrich and… for some reason… er… Star Jones? After taking a bit of a break from inauguration festivities, a few of us on the right headed over to David Frum’s to mark the launch of his new website New Majority.? 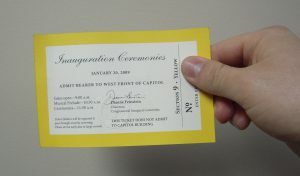 While inaugural balls were going on elsewhere in the city, I had a couple of invites for the post-inaugural Google party.? The party was downtown by the Reagan Center and was the media/Washington insider gathering was well-attended by CNN, MSNBC, DNC and RNC people. 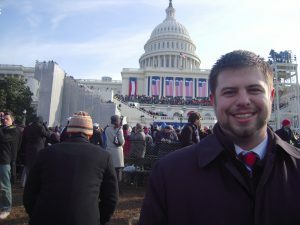 The inauguration of Barack Obama was about the closest thing I think I’ll see to a coronation.? To be sure, Obama was elected through the democratic process, however, the fanfare, ceremony, celebrity, commemorative-plate-esque atmosphere and the millions of people caught up in it was certainly something I don’t expect to see again. 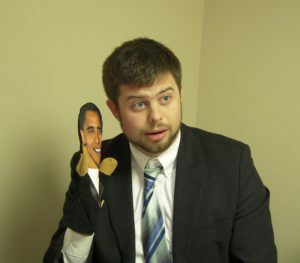 Barack Obama inspired many, from Democrats in the primaries to electors during the campaign.? He was an incredible campaigner.? Now comes the hard part: he has to govern.? 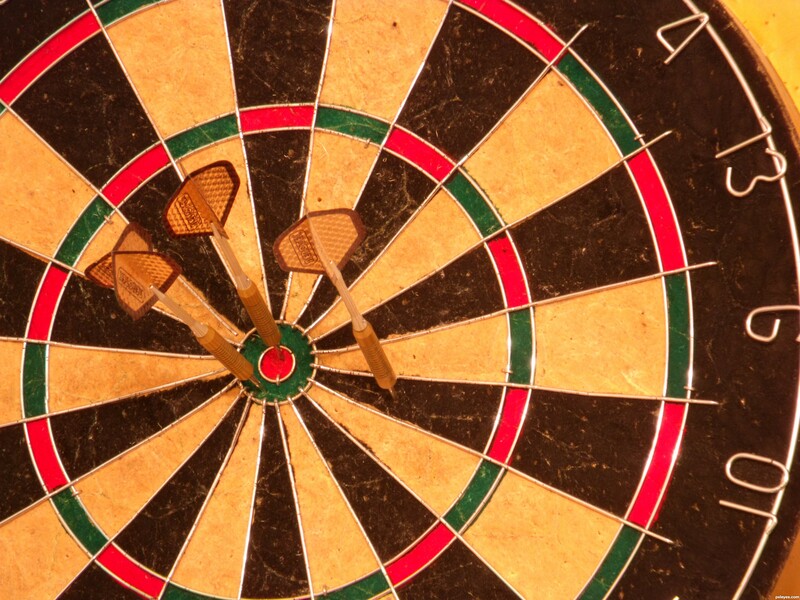 With a worsening economic crisis and an ill-advised and massive economic bailout coming, transformational is bound to become transactional and we’ll need more than hope to pay off the interest.